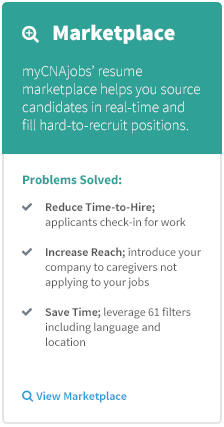 We offer a suite of recruitment tools to help healthcare companies recruit Companions, CNAs, & HHAs. Empowering small businesses to large Fortune 500 healthcare systems to fuel their recruitment nationwide. BrightStar Care and myCNAjobs formed a strategic partnership in February of 2015 and we haven't looked back. Being an employer of various levels of home health care professionals including skilled nursing, BrightStar Care needed a partner we could count on to increase our volume of qualified applicants as well as enhance our processes. myCNAjobs provides us with a solution that is affordable and flexible for our hundreds of franchise offices, in addition to sharing up-to-date market data and recruiting advice. 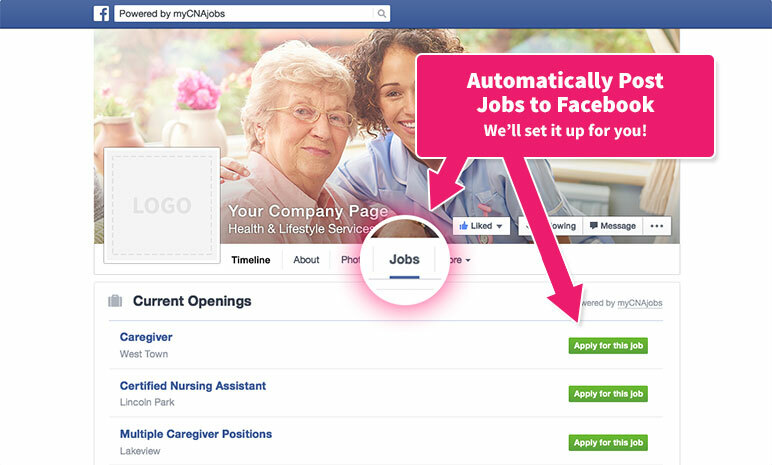 We highly recommend myCNAjobs to anyone looking for a professional in the healthcare recruiting space. Since joining forces, we have greatly expanded our applicant pool and have reduced time-to-hire. 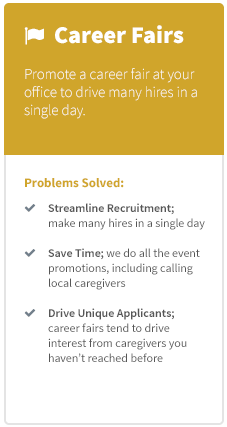 The Caregiver OnDemand events have made it more efficient on my teams to recruit in high volumes while also reaching applicants that we have not courted in the past or found on other channels. They have made a substantial impact on our recruitment. I hire 97% of my caregivers through myCNAjobs. I easily find caregivers elgible for the WOTC Credit - ONE hire pays for an entire year of myCNAjobs! I have enjoyed working with myCNAjobs in planning our Caregivers OnDemand events! 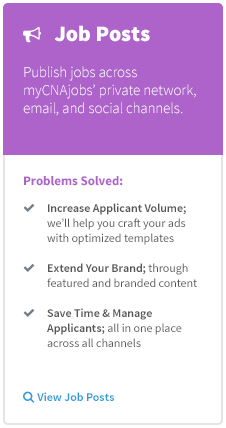 We use myCNAjobs for recruiting everyday. We love the quality of caregivers that have come to work for us from myCNAJobs. Collaborating with myCNAjobs over the past 3 years has resulted in a loyal and strategic partnership that has been an asset to our company growth. We have developed a deep relationship with their team. Their on-site tools arm our local branches to recruit on demand while their career fair and interview booking tools drive caregivers ready-to-interview to our offices. They always go the extra mile!!! 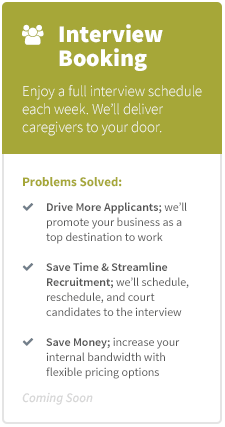 They have helped us streamline the recruitment process so we attract more caregivers to meet our business needs. Partnering with myCNAjobs continues to be an asset to our company. WILLCARE's experience with myCNAjobs has been nothing short of phonomenal. We have accessed and hired quality caregivers in very difficult to service areas and the support of the staff at myCNAjobs in incredible! I found a great caregiver in a hard-to-recruit area. She only needs to work 3 weeks and the revenue from my client will pay for my entire year on myCNAjobs. I was actually at the community during the event. I must say, it was fantastic, the community had over 35 people attend. It was a very professional crowd and I saw a lot of solid applicants. Thank you and your team for the support and effort that went into this job fair, it was a true success.